Beijing union publishing company, 2017-05-01. paperback. New. Ship out in 2 business day, And Fast shipping, Free Tracking number will be provided after the shipment.Language:Chinese.Paperback. 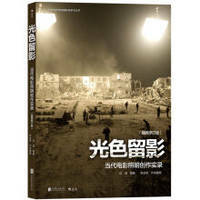 Pub Date: 2017-05-01 Pages: 316 Publisher: the joint publishing company in Beijing light color pictures: contemporary film lighting creation activity (illustrated edition) is the Beijing film academy photography department for three years and interview with film photography interviews. respondents are the present line of cinematographers. advertising photographer. juicers. such as lu yue (194... Satisfaction guaranteed,or money back.